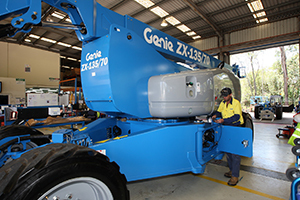 This course is aimed at newcomers to the industry and covers off hire inspections on most models of Genie equipment. 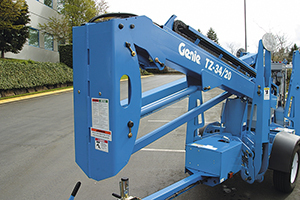 This course covers the manufacturer's annual inspection requirements across a wide range of Genie equipment. Technicians will be taken step by step through the procedures listed in the maintenance inspection reports for a number of popular models. 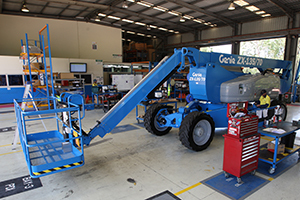 This will provide an overall view of Genie DC Scissor Lifts with emphasis on multiplexing, motor controller, fault finding, programming and schematics (electrical & hydraulic). 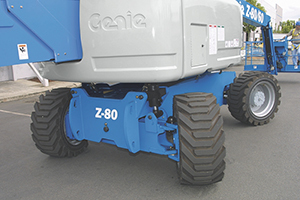 This will provide an overall view of Genie GS68, GS69 and GS90 Scissor Lifts with emphasis on multiplexing, diesel engines, fault finding, programming and schematics (electrical & hydraulic). 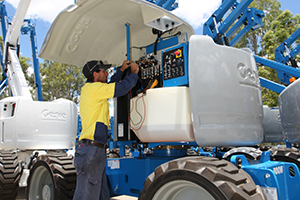 This course explains in detail the operation of the electrical and hydraulic systems on Genie Telehandlers and includes fault finding and LMS diagnostics. 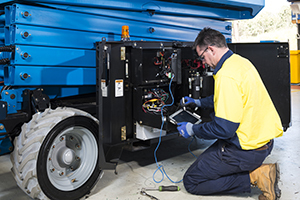 This package has been developed to assist in fault finding and repair of a range of service issues relevant to the TZ34 & TZ50 Trailer Mounted Boom Lifts. 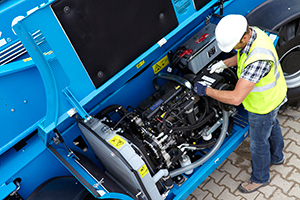 This is a 1.5 day training package which has been developed to cover a wide range of materials relevant to the Genie range of diesel booms. 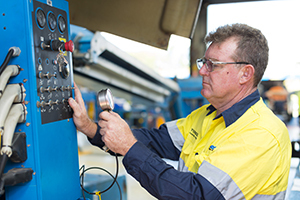 Attendees will be trained in diagnosing and troubleshooting the ALC 500 control system, ignition start module and electrical schematics, hydraulic drive and boom functions and the oscillating axle system. This course will provide an overview of the Z80 machine, including fault finding and calibration of machines. The diesel boom course is a pre-requisite for attending this course. 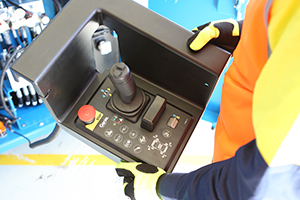 This course will provide an overview of the ZX135 machine, including fault finding and control systems. The diesel boom course is a pre-requisite for attending this course. 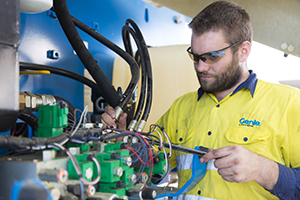 This course covers calibration and advanced troubleshooting of the ZX-135 machine. The ZX-135/70 Introduction is a required pre-requisite for attending this course.